From a young age, Kadir Nelson demonstrated artistic skill. With encouragement, apprenticeship, education, and experience, Nelson has become recognized worldwide for his pieces in prominent collections, contributions to movies and music albums, and illustrations in books and magazines. You began your artistic journey when you were three years old. Do you have copies of your early work? What were the main subjects in your drawings? 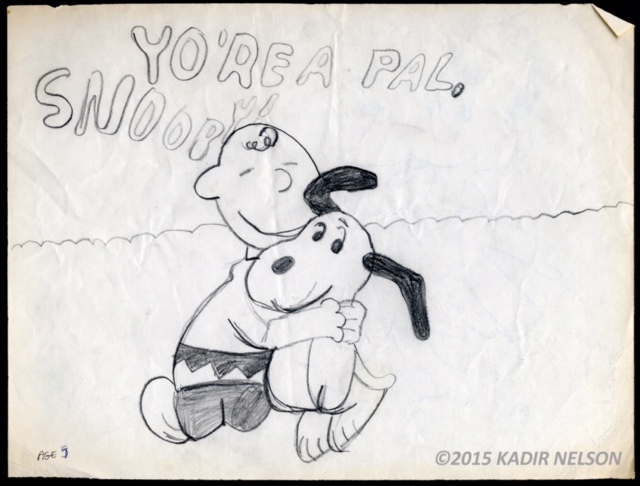 Can you remember books or artists you found inspiring as a youngster? What did your parents do to encourage your creative side? It seems that artistic tendencies run in your family. In fact, I heard that in addition to your parents, your uncle Michael Morris, an artist and art instructor, also played a significant role in developing your talent and skills. 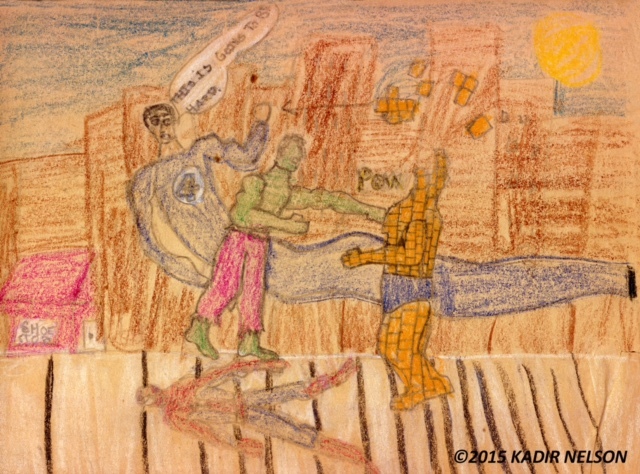 Do you believe it is important for young people with artistic abilities to have mentors? After graduating from college, you found work and success quickly in magazines, movies, and books. Soon after, the awards followed. You’ve been awarded two Caldecott Honors, Coretta Scott King Awards, an NAACP Image Award, and many more. Did you ever expect this level of success? How have the awards influenced you and your career? 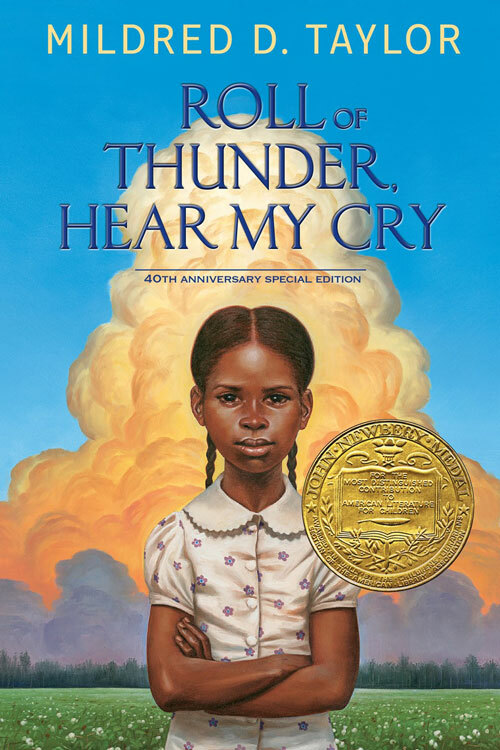 Speaking of shiny stickers and awards, you were selected to create new cover art for the 40th anniversary edition of Mildred D. Taylor’s Newbery Award-winning book, Roll of Thunder, Hear My Cry (Penguin Random House, 2016). Further, you are creating covers for Taylor’s entire series as well as her 10th book Logan (Viking) due out in 2017. 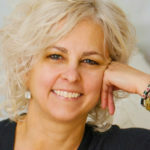 Prior to being selected as the artist for the reintroduced series, had you read Taylor’s books? Last year your picture book If You Plant a Seed (Balzer + Bray, 2015) was published and the Mildred D. Taylor books have begun their reintroduction. What are you currently working on that readers can look forward to seeing from you soon? In 1975, Mildred D. Taylor introduced readers to the Logan family in her novella, Song of the Trees (Dial Press). And in 1976, Taylor’s better-known and Newbery Award-winning novel Roll of Thunder, Hear My Cry (Dial Press) was published and later followed by additional books continuing the saga. 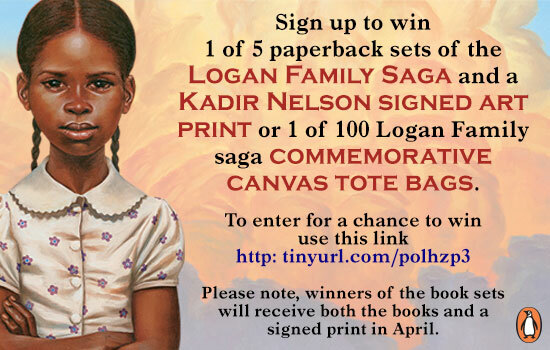 Since then, the chronicles of the Logan family have been featured on many reading lists. To celebrate the 40th anniversary of Roll of Thunder, Hear My Cry, the book is getting a new look and being reintroduced to a new generation of readers. 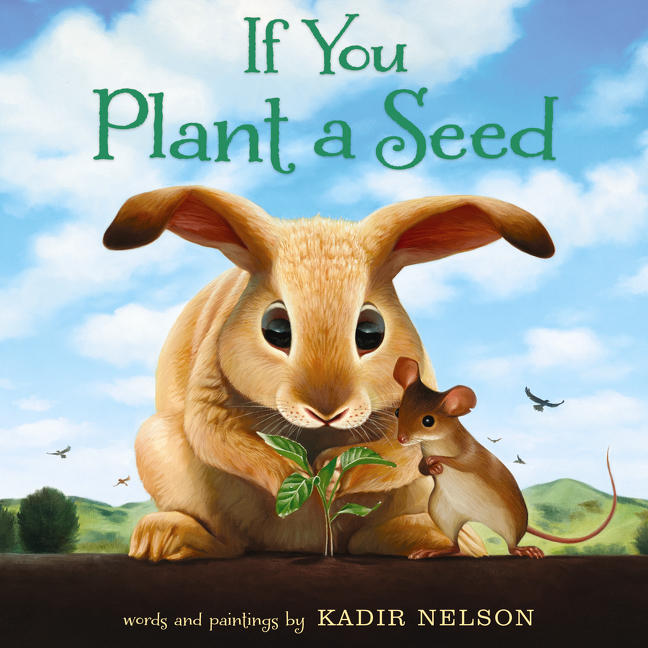 Kadir Nelson, a multiple Caldecott Honor award winner whose work has been featured in books and magazines, on postage stamps, and on album covers, was selected to create the artwork for this new edition of Roll of Thunder, Hear My Cry (Penguin Random House, 2016), as well as new covers for the entire series. Told from the perspective of nine-year-old Cassie Logan, Taylor’s series follows the Logans, an African American family living through the Great Depression. It addresses important issues of the time—racism, prejudice, and social justice—that are also relevant in America today. In recent years, there has been a growing emphasis and discussion about the level of diversity in children’s books. Organizations and movements, such as We Need Diverse Books, have campaigned for all types of young people to be reflected in literature. Nelson agrees. With the reintroduction of Taylor’s series, all readers will connect with the characters and the stories told—including African American young people who will find Black protagonists featured front and center. 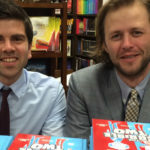 And Taylor believes young people will also find the issues addressed in the books to be relevant as well.